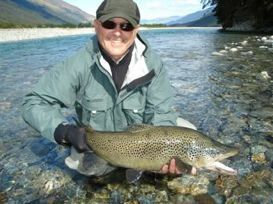 Wanaka Fly Fishing, New Zealand's premier guided fly fishing service and fly fishing school. All good things  trout as well as eternal salvation  come by grace and grace comes by art and art does not come easily," Norman Maclean already told us. 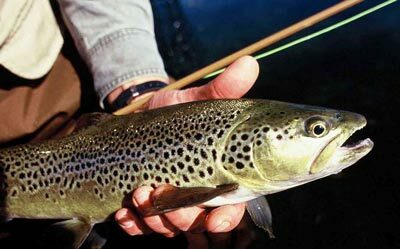 Indeed, catching trout on a fly is difficult  its supposed to be difficult or we would quickly lose interest in it  but it neednt be frustrating. It is our Academys aim to equip you with a toolbox of skills because the art of fly-fishing is part-craft and part-magic, and we believe once you learn the craft, the river magic will happen. 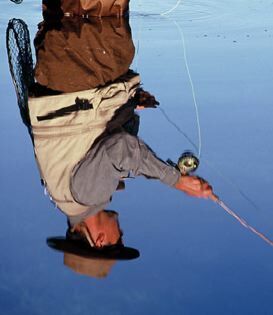 There are many styles of flyfishing: from super-delicate dry fly to Tongariro bomb'n'egg. Upstream, down-stream, pupae and emergers  it can all seem overwhelmingly complex to an uninitiated. Which is why we set up WANAKA FLYFISHING ACADEMY - aimed at unreservedly simplifying the minefield of information out there so that potentially you too can catch "the fish of the lifetime." Whatever the stage you have reached in the art of fly-fishing, we can help you to take it further. For novices and the neverevers, we have comprehensive INTRODUCTION TO FLY-FISHING and IMPROVE YOUR FLYFISHING seminars (15 day in duration), while for the already-experienced anglers we offer ADVANCED TUITION in the aspects of fishing they wish to better. All our programs emphasis solid casting and all major flyfishing techniques as well as river skills and streamside entomology. We provide all the equipment and Federation of Fly Fishers' Certified Casting instruction. the fly-fishing experience, the location and quality of the spots you took us to, the peace and quiet and the relaxed pace all significantly exceeded our expectations. You skilfully unlocked a latent interest in trout fishing that will provide both of us with many years of pleasure. We felt we had way better than our money's worth.